I love good coffee. Give me a cappuccino maker and I am a happy woman. Coffee to wake me up to make me zing and to fill my taste buds with gorgeous sensations. Caffe Cagliari are a 100 year old Italian family company who now make coffee capsules compatible with Nespresso machines. They sent me a selection to review. Gorgeous taste, rich, velvety and classic too. One I didn’t have to make myself! 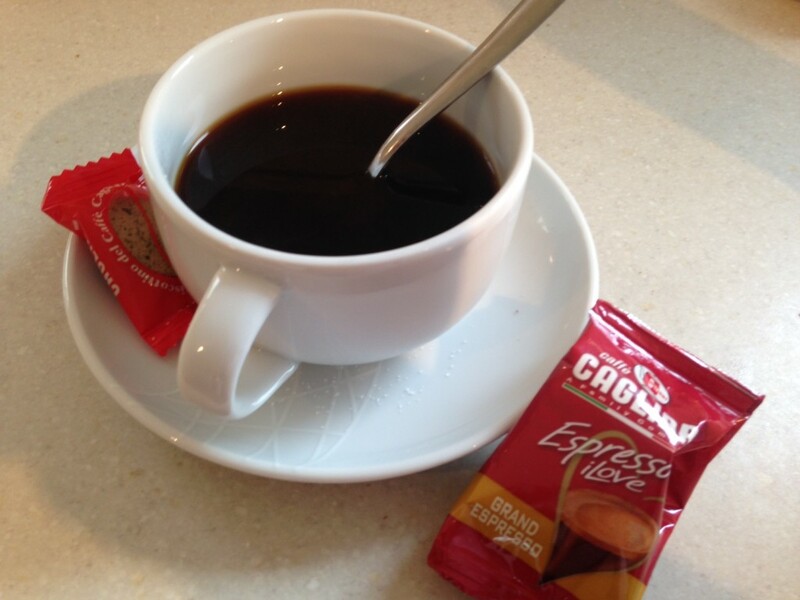 At £2.99 for 10 capsules this is really good value coffee (think what you pay in a cafe! ) There are 5 varieties of coffee capsules in their online shop and I like the Ristretto best, but would drink them all. It’s so authentically Italian I can almost believe I’m there (If I close my eyes to the kitchen clutter and rainclouds through the window) I can feel the sunshine, smell the hint of pizza, here the little rev of vespas and the scent of beautiful gardinia and here the passionate itallan chartter. oh whisk me away right now !